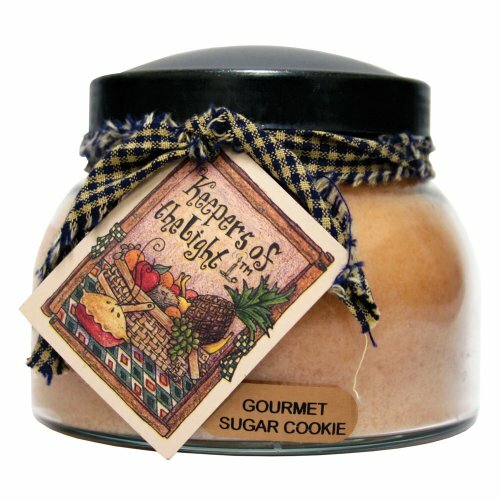 A Cheerful Giver Gourmet Sugar Cookie 22 oz. Mama Jar Candle with primitive black lid and homespun ribbon. Fragrance consists of a scrumptious aroma of rich creamy butter blended with sweet vanilla toffee. Holds 22 ounces. Burn time is 125 hours.